My father grew up in farm country during the Great Depression, before Social Security, welfare or food stamps. However, they had other things, country wisdom, self-reliance, pride, and neighbors. Life was hard-scrabble enough when Grandpa Johnson was alive, but my Grandma suddenly found herself widowed with no marketable skills and 5 children. At some point,Grandma Johnson came into possession of a packet (which was much larger back then) of broccoli seeds. Broccoli was a new-fangled, exotic (read “expensive”) thing. She was told to grow it just like cauliflower but without the bothersome leaf-blanching. So, she bartered for the use of a field and grew it. The family took turns staying up at night to guard it with a BB gun (my Dad claims it was a BB anyway…). When it was ready, Grandma cooked just one head for the family to try as a treat. Then some local Amish, who were prone to helping widows, loaded the harvest into an ice-laden wagon. They took her into the nearest city, pulled up to the back doors of fancy restaurants and rich homes and sold it direct. The family lived for several months on the broccoli money. TIP: If you don’t have land, or even a backyard, to grow your own food, have you every thought of bartering for that space on someone else’s property? You do the work, they get a percentage of the produce in return. Sharecropping on a very, very small scale! Read these tips from a gardening pro to help you become a better gardener so you can make this happen. There are a whole bunch of lessons in this story but there’s one that people often miss, namely, Grandma already knew how to grow cauliflower and save the seeds! She knew about soil, transplanting, cabbage worms, and that the whole cabbage family can’t take much heat. 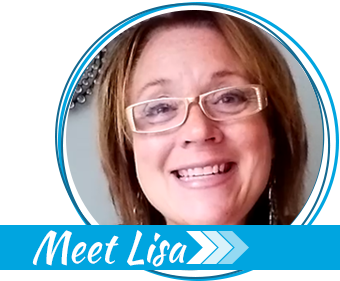 Could she have availed herself of that amazing opportunity to provide for her family if she’d had to learn all that on the fly? I doubt it. The experience was already there. She just needed the raw materials. That’s one reason I object to most ready-made seed banks, but I now find that I also object to the psychology behind them and lots of the advice on building your own. Thankfully, many of these commercially sold seed banks now include a book or spreadsheet on using and saving seeds, but that’s just book learnin’. 1. Real World gardening experience: The Good, The Bad And The WTH? For reasons I’d love to have explained to me by a shrink or anthropologist, many people think that growing food is an instinctive, evolutionary skill that will just “be there” when they need it. Or perhaps that it’s not rocket science and they’ll be able to figure it out well enough. They’re willing to accept that you have to be taught to cook food, but not grow it. Most experienced gardeners are chuckling at the thought. 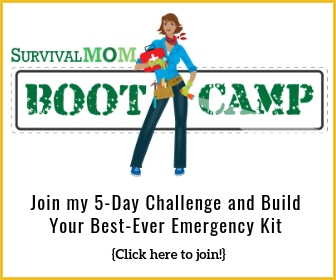 Here at The Survival Mom and from any other responsible info source, replenishment of your food storage is stressed. Yes, it’s great to have canned tomatoes if there’s a societal collapse, a prolonged job loss, or a pandemic-induced quarantine of your town really does happen, but that stored food will eventually run out. Where will you be if you don’t know how to grow and preserve more tomatoes? Seeds are no different. The seeds in that #10 can of seeds are going to run out, and you’ve gotta be able to make more. Remember the first time you were left home by yourself? Drove a car without supervision? That’s how it feels to see seeds that you grew and saved yourself burst through the soil. Seeds are literally living, breathing things. They are composed of a tiny dormant plant, fuel to keep the plant alive and a shell to protect both. Eventually, the fuel is expended and the plant is weakened beyond usefulness (seeds below 70% germination often lack the vigor to thrive), or it dies altogether. Like a hibernating animal, they need protection and are still burning fuel. Imagine if a bear accidentally hibernated for two winters instead of just one? If he survived, he might not recover from the starvation no matter how much food there is now. If he hibernated under a tree instead of in the shelter of a deep cave, he wouldn’t survive at all. More about that below. Maintaining a supply of fresh seeds is vital. Remember the 80’s movie “Willow”? Our titular hero-farmer begins planting a field and is confronted by the village tyrant, Burglekutt, who demands to know where Willow got the seeds. Burglekutt has a local monopoly on seeds and he hasn’t sold Willow any. Between gene-violating seed companies seeking everything but “food sustainability”, political correctness passing for science, a federal (and some state) government increasingly intent on “fairness” through infantilization, and the many-layered madness of modern farming; it’s never been more vital to control as much of our own food production as we can. A wise man once said that the most terrifying words in the English language are “I’m from the Government and I’m here to help you.” There’s a whole alphabet soup of agencies tasked with protecting/providing our education, medication, housing, food and water. Because dependency worked out just swell for Native Americans. It’s tempting to just buy a container of seeds with the promise that they will be your “survival seeds.” From my own experiences, there are a number of problems with these read-made seed banks, all of which can be solved with a DIY seed bank. 1. Literal or implied claim of the seeds lasting 10 years or more. Sure they will, in the freezer. What if that’s not an option? Some seeds have a shorter life than others and have to be replenished more often. If not kept in airtight containers in the freezer or fridge, onion and parsnip seeds die in just a year or two. Sweet corn in four, but worse, it fosters the buy-once-and-forget-it psychology. What’s the nutritional content of that food? Is there adequate protein, vitamins, minerals, fiber, oils and antioxidants? In order to make extravagant claims, many seed banks overuse very small seeds of water-heavy vegetables (celery, cukes, tomatoes) at the expense of larger seeds that produce nutrient-dense crops like flint corn, beans, and winter squash. Besides nutritional deficiencies, this can create problems reproducing healthy seed, especially in the case of corn. One seed bank I stumbled upon had only 30 dent corn seeds (you need at least 200) but had 1,500 eggplant seeds! Now, I love me an eggplant, but if my garden were my family’s primary food source, I’d trade 100 eggplant seeds for just 2 of Butternut squash. 3. Not enough protein, whether it’s legumes, corn or other grains. Yes, in case of an emergency, we would be using our existing food storage, but it’ll eventually have to be replenished. Fishing might be an option if you’re near uncontaminated water. As for hunting, imagine there’s mass evacuation and relocation or basic services and food supply systems have broken down. Can you imagine how many untrained yahoos are going to acquire a gun and go traipsing around shooting at anything that moves, including each other? They’ll over-harvest or scare away all the game, at least for a while, and it might not be safe to go out there until all those nimrods have starved or eliminated each other. 4. The frequent inclusion of Jack O’ lantern pumpkin seeds in seed banks. I will never understand this. They’re bland, watery, and you can almost floss your teeth with the flesh. The seeds are no more nutritious or easier to oil-press than sugar pumpkins. The seeds are typically bigger, but not enough to justify a pumpkin that’s best relegated to the compost pile if you aren’t feeding them to animals. If you are using them as animal fodder or in homemade dog food, try using naked-seed varieties like Kakai or Lady Godiva. Fido gets the flesh; family gets the seeds. If the pumpkins are for the emotional comfort of children, they can still carve sugar pumpkins or other edible globe-shaped ones. When you make your own seed bank, you can be choosy about things like this. This is usually from either well-meaning novices who think that seeds from hybrids just revert to their parents’ characteristics, or from people who feel passionately about landrace gardening because landrace varieties are more genetically diverse. Seeds from hybrids sometimes produce usable fruit. Sometimes. They eventually stabilize into open-pollinated varieties eventually, and only in a large enough breeding population. To let hybrids go off on a botanical Spring Break and see what happens is a fun adventure and a great way to loosen the genetic corset of heirloom purity. But for the person who may have to actually feed their family (not just this year, but next year and beyond) from the seeds in a can or bucket, it’s probably safer to include multiple varieties of a vegetable and leave the tinkering for more stable times. Including right now. Almost nobody outside the Southeast quadrant of the country has any desire to grow okra! There are places where flint corn takes too long and dent corn is preferred. Then there are people for whom life without hot peppers isn’t worth living. 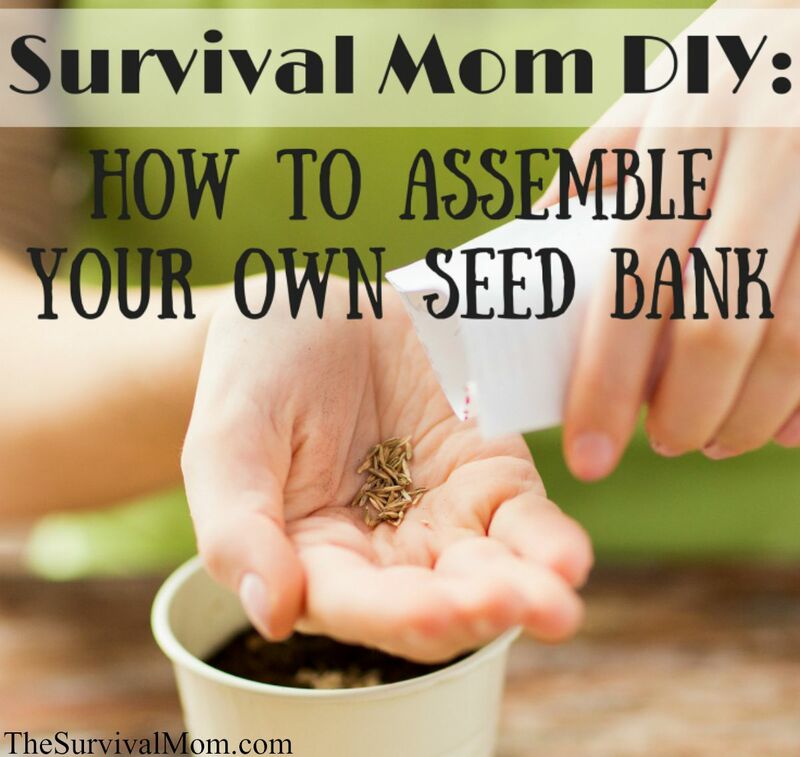 When you make your own seed bank, you can adapt to local and personal needs and tastes. In the space occupied by 100 Contender bean seeds, you could instead fit smaller amounts of 2 or 3 different beans. What if Contender doesn’t do well in your area? With even a little more diversity, you’ve got options, including breeding new varieties. One of the reasons the commercially sold seed banks include only 1 variety is to cut down on packaging. 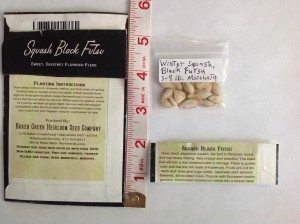 Much the same way that supermarket produce is bred for looks and shipping ease instead of for flavor and nutrition, seed packets aren’t designed for storage. They’re designed to show a picture, give a description/instructions, for all packets to be uniformly sized in a display rack, and to house an adequate amount of the largest seeds. The 2 packaging options on the right each contain the same volume as the original on the left. 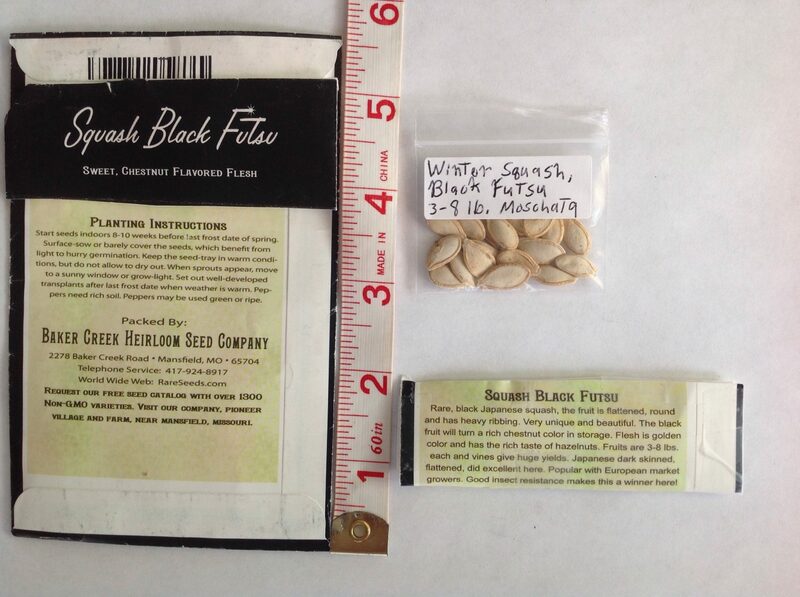 That being said, we’re reminded by Jim Cobb that if we have to barter any seeds, a few in original manufacturers’ packaging (especially plastic) will fetch a higher price when traded to people who don’t know and trust us. 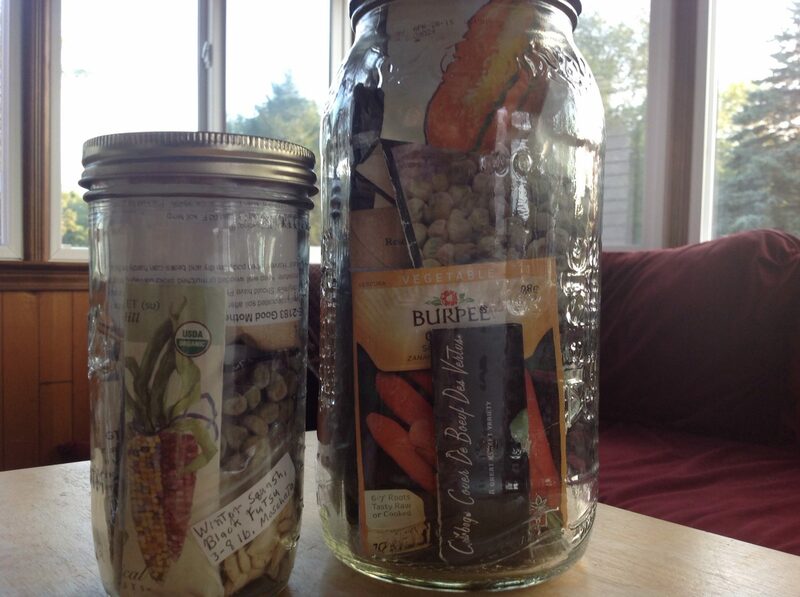 The first step to creating a DIY seed bank is to decide what size container you want to use. Will it be a canning jar? A five gallon bucket? Vacuum sealed bag? I recommend something at least the size of a #10 can or a half gallon jar. Check local restaurants for gallon/half-gallon glass pickle jars and bakeries for 10 liter (2.6 gallon) buckets. Often, you can get these for free. Controlling the first four enemies will greatly slow down the fifth. The simplest solution for this is a cloth or brown paper lined glass jar kept in the freezer or fridge. If the freezer isn’t, or ceases to be, an option, a cool basement is better than nothing. Just make sure your container is completely watertight to keep out humidity. Glass and metal containers are best since plastic is actually a lot more porous than one might think. You’ll just have to refresh the seeds more often. Notice I didn’t say, “replace’. You can buy or trade for more seeds periodically, but growing at least some of your own seeds makes more economic and self-sufficient sense. The seeds will also adapt to the local climate that way. 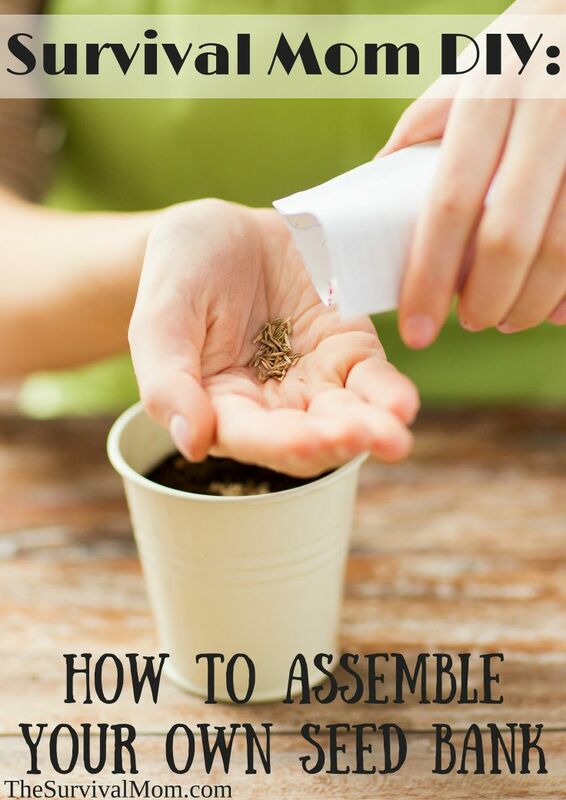 Read more: Here are a few tips for saving seeds, just to get you started. 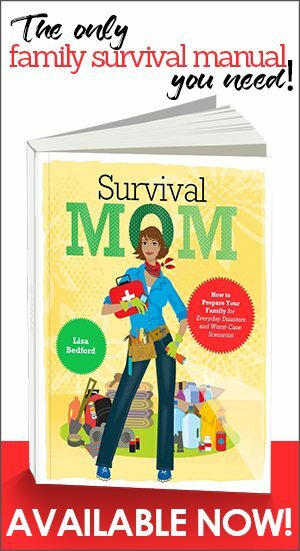 Next, get a good seed saving book and start using it. Start now. Besides putting you on the path to true food independence, it will also give you seed storage guidelines and safe minimum populations for each seed in your collection. Seed To Seed by Suzanne Ashworth is usually recommended and is a very good book, but people have different learning styles and I find it a bit dry and academic. It also dismisses growing many things outside typical zones, like sweet potatoes in New England (which I’ve been doing for years). My favorite seed book is The Complete Guide To Saving Seeds by Robert and Cheryl Gough. It’s much better for visual learners, has lots of charts and great sections on storage and vigor. Let’s say you’re growing a very early tomato, like Stupice, and a late one, like Brandywine, and you get hail the size of ping-pong balls in mid-July that destroys a lot of your crops. (This happened to me!). Or, in a different scenario, Late Blight infests your area. This also happened to me. Because the Stupice tomatoes matured early in the season, they are already safely canned/dried/frozen long before you lose those Brandywines to the hail or blight. This works in reverse, too. If you put out Stupice transplants in early May and a freak snowfall kills them, your Brandywines are still in the house, all snug and waiting for Memorial Day. The same goes for squash, corn and everything else. There’s a whole world of corn outside the yellow/white varieties, and beans aren’t always green. Neither are “greens” for that matter. By mixing up the colors of produce in your seed bank, you’ll get lots of healthful antioxidants, but also sanity-saving variety. I can live very well without turnips, but I keep them in my seed bank because they store well over winter and the cabbage family is ridiculously nutritious. If there are seeds for produce that you don’t usually eat or care for much, perhaps save just a few for family, barter, bribes or to get used to because they have their charms. There’s a lot more to live storage than traditional “root cellar” crops like potatoes and onions. Many other crops do better outside the cellar, like squash and garlic. Did you know that there are melons that keep until Christmas? “Stowell’s Evergreen” sweet corn used to be pulled up when ripe and the whole plant hung upside down to preserve in a semi-fresh state. Such crops don’t require precious water to reconstitute and would be life savers if it weren’t possible to can and freeze. It’s worth researching a wide variety of vegetables to learn about tips like this. Man cannot live by veggies alone, or food alone, for that matter. It’s a good idea to make room for some non-veggie foods and non-food item. Instead of hunting far and wide, nearly everything discussed below can be found at Sustainable Seeds and/or Bountiful Gardens, so I’ll just link to other sources where appropriate. Throughout history, villages that prospered and grew into civilizations have shared several commonalities. One of them is harnessing the power of grains. Grains are intensely nutritious, easily grown, easily stored, and provide much more than flour for baking. They can be used for fuel, medicine, as a cover crop, animal feed/bedding, roofing, insulation, garden mulch, alcohol and more. A very small amount of seed can produce a small crop and plenty of more seed for next year, so it’s space-effective to store at least two kinds. Wheat is the obvious choice, but there are a lot more to choose from. Small-Scale Grain Raising is the definitive guide and very readable. We don’t normally grow bramble, shrub, and tree fruits from seed because the offspring might be different than the parents and it takes so darn long to even find out! But it is an option for the long-term, especially in the case of fruits that are medicinal (elderberry, cranberry) or have a special quality (quince or apple for pectin). Store seeds for at least five different medicinal plants and have one be an anti-viral. I favor medicinal plants that have other uses, such as cranberries that support prostate health and licorice as an anti-inflammatory. Make sure you have something to address specific health concerns in your family. For instance, one of the grains I store is medicinal in my life, hulless oats. Both my parents had multiple heart attacks and died young of heart disease. I eat oats like it’s my job. One mom grows sweet orange trees specifically for their medicinal purposes. I know it’s hard for Americans to imagine struggling to get enough fat, but it can be a real problem in long-term crises like war and pandemic. There are now small, relatively inexpensive and very effective home oil presses. A host of plants can be pressed for oil including multi-use plants like pumpkins and flax. Hopi Dye Sunflower provides purple dye, oil, and food. Trifecta! Natural sweeteners can be made from sorghum, stevia, maple trees, and sugar beets. This is especially important if you are concerned about genetically engineered (GE) crops, since sugar beets are being targeted by GE. Making sugar from the beets is fairly easy, and the beets can also be used like a vegetable or as animal fodder. Ever notice how much leather they wear in both American frontier and post-collapse movies? It’s not a fashion statement. It’s a predictable side effect of a population in transition. How much more comfortable would our family be (and how much more valuable would we be to society) if we had the option of producing cloth? Cotton is an obvious and familiar choice but has also been heavily impacted by GE, so get seeds from a company that’s organic or in an area where cotton isn’t commercially produced. And how much fun is it that cotton comes in colors besides white? After researching how to make linen from flax, I understood why linen has historically been so expensive. It makes cotton production look like a relaxing weekend hobby! But that’s why it would be so valuable for sale or barter. As for dye plants, the choices are vast and many of them are also edible or medicinal. Last but not least, color-indicating silica gel to keep seeds dry. Moisture is seeds’ biggest enemy and powdered milk and other homemade desiccants really don’t do much. 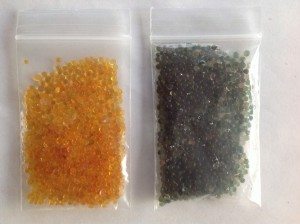 If the gel beads get saturated with moisture, the non-toxic dye turns dark and they can be re-dried in the oven and reused! Food storage advice always includes the instruction to, “Store what you use and use what you store”. That includes storing, using and replenishing your own seeds, now more than ever. We’ve all seen films of desperate mobs surrounding the aid trucks after a disaster, or tyrant-afflicted masses driven to riot, and we believe that having some cans of food on a shelf will keep us out of the fray. They will. For a while. 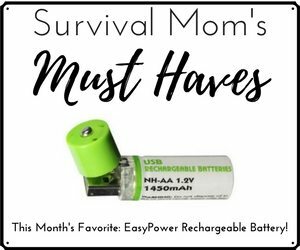 But those supplies will eventually run out. Along with those cans on a shelf you need a DIY seed bank, seeds in a jar that will give you more options both now and later. Great article! Lots of good information here. When I lived in the country (Midwest) I had a very large organic garden where I grew our vegetables, grains and herbs. I also had strawberries and black raspberries. I’m so grateful for that experience in my life. I know how to plant, mulch, tend, harvest and enrich the soil for the next growing season. I understand companion planting and all the work that goes into a successful garden. So your points are ‘right on’ about people thinking they will just know how to do it. With all those years of experience, I still struggled every spring to start my own tomato plants indoors! It’s more difficult than people think. BTW – I do love Sustainable Seed and was glad to see you mentioned them. Thanks for sharing!